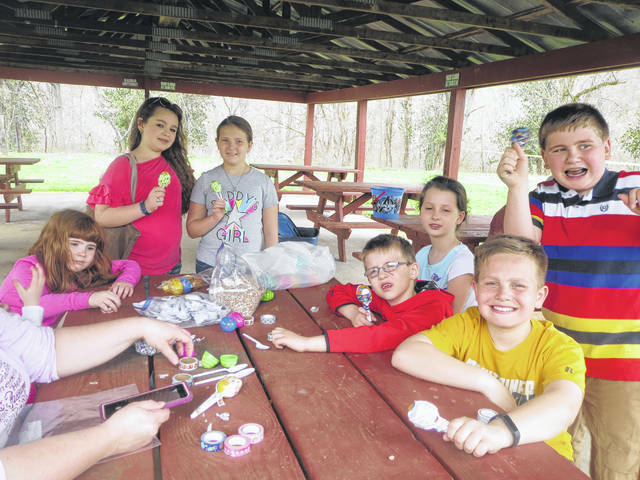 Pictured are Leon Luckies club members, from left, Marissa Thomas, Riley Springston, Brianna Miller, Makayla Hickman, William Hickman, Luke Thomas, and Wyatt Oldaker participating in the Easter egg recycling craft. 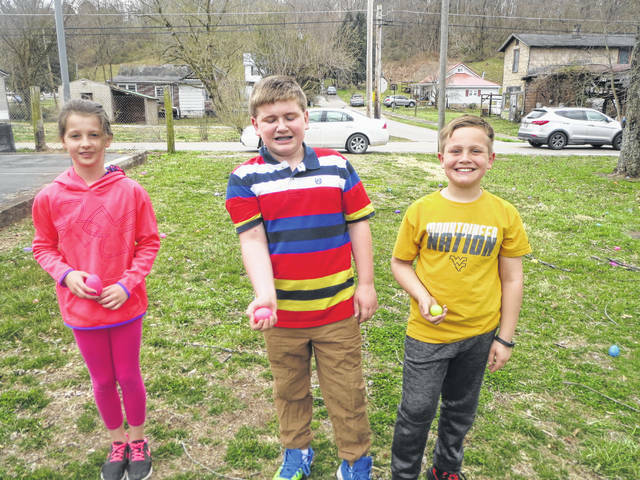 Pictured are Leon Luckies club members Makayla Hickman, Luke Thomas, and Wyatt Oldaker hiding Easter eggs. The Leon Luckies 4-H Club recently held a Community Easter Egg Hunt on Saturday, March 30, 1 p.m. at the Leon Town Park. The club members hid 545 eggs and the age categories were four and under, five-eight, and nine-12. According to representatives of the club, everyone had a good time. Following the Easter Egg Hunt, Angie Thomas, club leader, held a recycling Easter egg project. Attendees took an Easter egg and filled it with beans, placed a plastic spoon on either side of the egg, and then used decorative tape to adhere the spoons to the eggs. These eggs turned into maracas. The club plans to use this recycling project as a conservation project.